Kurdyumov Sergei Pavlovich | Сайт С.П. Курдюмова "Синергетика"
Kurdyumov Sergei Pavlovich was born on the 18th of November, 1928, in Moscow. In 1953, he graduated from the Physical Department of the M.V.Lomonosov Moscow State University with the specialty «Theoretical Physics». On graduating from the University, he was accepted for employment at the Department of Applied Mathematics of the V.A.Steklov Mathematical Institute of the Academy of Sciences of the USSR (today the M.V.Keldysh Institute of Applied Mathematics of the Russian Academy of Sciences /RAS/) where he has proceeded from an engineer to a director. He defended his Ph.D. thesis in 1968 and his thesis for a Doctor’s degree (Dr.habil. in Physical and Mathematical Sciences) in 1979. Sergei Pavlovich Kurdyumov is an outstanding Russian scientist. He is specialist in mathematical modelling, mathematical physics and computational mathematics, the Corresponding Member of the RAS (1984), author and co-author of more than 300 scientific works published in Russia and abroad, including five monographs, co-author of scientific discovery of a new physical effect «Effect of T-layer» (certificate of authorship No.55 from 1969). Pioneer design-theoretical works in the field of nuclear power engineering, laser thermonuclear fusion, laser thermochemistry were carried out by him in person and under his direction. 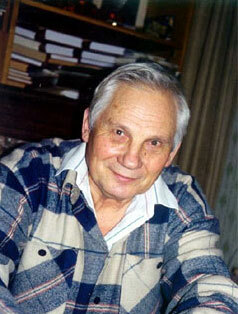 Methods of exploration of laser thermonuclear targets by means of computational experiments were elaborated by S.P.Kurdyumov (together with academician A.A.Samarskii). These methods laid the foundation for the conception of low-entropic compression of shell targets and substantiated this conception which is generally accepted nowadays all over the world. S.P.Kurdyumov has made an important contribution to the elaboration of fundamental problems of synergetics as well as to the theory of non-linear evolutionary equations. For quasi-linear equations of heat conductivity with a source, a theory of blow-up regimes has been developed by Prof.Kurdyumov and his disciples. A spectrum of eigenfunctions of an open non-linear medium is studied, properties of diffusive chaos are investigated. The theory of blow-up regimes is extended to compressible media, to the problems of dissipative and magnetic hydrodynamics. These results have found an important application and experimental confirmation in the problems connected with the laser thermonuclear fusion, in experiments on thermochemistry. From 1983 to 2003 under the direction of the Corresponding Member of the RAS S.P.Kurdyumov and with his immediate assistance, a number of fundamental scientific results in the field of mathematical physics, non-linear dynamics and synergetics have been obtained. New methods of constructive analysis of solutions of a wide class of non-linear parabolic equations with sources and sinks are developed. The scientific results in the field are presented, in particular, in the monograph entitled «Blow-up in quasi-linear parabolic equations», Berlin: Walter de Gruyter, 1995 (in co-authorship with A.A.Samarskii, V.A.Galaktionov, A.P.Mikhailov) which has obtained the world-wide recognition. A series of pioneer works connected with analysis of diffusive chaos and with complex order in systems reaction-diffusion was accomplished; the works exert a great influence upon the development of studies in non-linear dynamics in Russia. The monograph «Non-stationary Structures and Diffusion Chaos», Moscow: Nauka Publishers, 1992, written in co-authorship with A.A.Samarskii, T.S.Achromeeva, G.G.Malitetskii is focused on these research results. Special attention is drawn to the application of the ideas of synergetics in such fields as strategic planning, analysis of the historical processes, the modelling of educational systems, the philosophical problems of natural sciences. Books devoted to these problems, especially, «Laws of Evolution and Self-organization of Complex Systems», Moscow: Nauka Publishers, 1994, (in co-authorship with H.N.Knyazeva), «Synergetics and Forecast of the Future», Moscow: Nauka Publishers, 1997, (together with S.P.Kapitza and G.G.Malinetskii), «Foundations of Synergetics: Blow-up Regimes, Self-organization, Tempo-worlds», Saint-Petersburg: Aletheia, 2002, (together with H.N.Knyazeva), the collection of works of S.P.Kurdyumov and his disciples «The Blow-up Regimes. Evolution of the Idea. Laws of Co-evolution of Complex Systems», Moscow: Nauka Publishers, 1999, are of great interest for the scientific community. S.P.Kurdyumov carries on a great scientific organizational work. From 1989 to 1999, he was Director of the Keldysh Institute of Applied Mathematics of the RAS. S.P.Kurdyumov was Member of the Bureau of the Department of Computer Science, Computer Techniques and Automation. During many years, he was President of International Computer Club, Vise-president of the National Committee on Mathematical Modelling. He is Full Member of the European Academy of Sciences. At present, S.P.Kurdyumov is member of editorial boards of five Russian and international scientific journals. S.P.Kurdyumov carries on a great work on preparation of scientific staff. He is Head of the Chair of Applied Mathematics and Synergetics at the Moscow Physical and Technical Institute. 10 theses for a Doctor’s degree and 19 Ph.D. theses were upheld under his direction. S.P.Kurdyumov was honoured for his prominent achievements with governmental awards. He was awarded the medals «For labour valour» (1956) and «For valiant labour» (1970) as well as the order «Sign of honour» (1975) and the «Order of Honour» (1999).